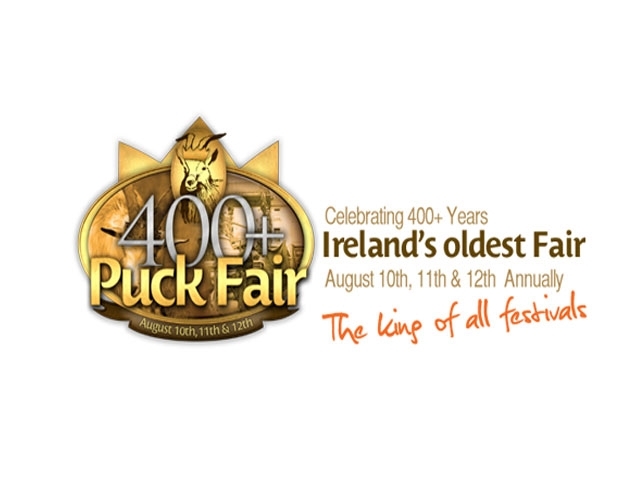 A traditional gathering that dates back hundreds of years, Puck Fair is a three-day event held in Killorglin in County Kerry, Ireland. A large male goat is decorated with ribbons and paraded through the streets on the first day, which is known as Gathering Day. The goat, known as King Puck, presides over the fair from his "throne," an enclosure on a three-story platform in the town square. The main event of the second day, known as Puck's Fair Day, is a livestock show. On the third day, known as Scattering Day, King Puck is led out of town to the accompaniment of traditional Irish music.